Farms and ranches are usual places where various types of livestock are raised mainly for human consumption. However, each performs functions that set them apart from each other. Let’s highlight these functions to find out the differences between the two. Land is used to grow crops, dairy products, livestock, etc. Land is used for raising livestock including sheep and cattle. Fertile soil is essential to growing crops. Grass for grazing livestock is very important. Makes use of farming methods in planting, growing, and harvesting crops. Uses horses and/or trucks to herd livestock. A farm is an area of land commonly used for agricultural processes that produce food and other crops. It is a basic facility where many food products come from. There are many kinds of farms, and the term applies to fruit farms, vegetable farms, dairy, poultry, pig farms and other fields used for harvesting biofuel and natural fibers. The term applies to ranches, orchards, estates, and plantations as well. The modern definition also includes fish farms and wind farms. Farming is believed to have been started by hunter-gatherer tribes 12,000 years ago in western Asia. They first raised livestock, followed by crops. People started trading goods and produce with other tribes and soon after with other regions around the globe. A farm can be small, owned and operated by a single person, family, or people in a community. There can also be hectares of farm under the ownership of a big corporation, or company producing a single or multiple produce with or without livestock. Orchards and vineyards are farms that grow nuts and other fruits and grapes, respectively. A ranch is an area of land that usually serves as a place to raise grazing livestock including sheep, cattle, and lesser-known livestock such as ostrich, elk, American bison, or emu. Ranching as a means of raising livestock for meat or wool is common in the Western U.S., Canada, and Mexico. It is common for ranches to cover large areas, but they can be any size. Many ranches in the western U.S. lie on privately owned land and often lease grazing land controlled by the federal government. If the land is fertile enough, some ranches grow crops (i.e., hay, grains) to serve as animal feeds. 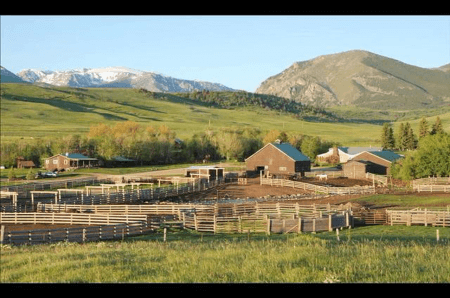 There are ranches that take in tourists (called guest ranches or dude ranches) and usually offer a variety of activities including guided hunting, horseback riding, and cattle drives. A rancher is usually the owner and the one in charge and is sometimes called a cattleman or stockman. If an employee is managing the ranch for the actual owner, that individual is referred to as a ranch foreman. While these two terms are almost synonymous, the main difference between a farm and a ranch largely depends on how the land is used. For one, a farm’s primary use is to raise crops, poultry and dairy products, just to mention a few examples. A ranch is a place where livestock such as sheep, cattle, and even ostrich are raised for a variety of purposes. Farmers make use of various crop-growing methods and employ many types of machinery. Ranchers usually use horses and trucks to herd sheep and cattle. Grass for grazing is one the most important resources a ranch makes use of, while fertile soil is a farm’s most important resource for producing food. Maintaining and operating a farm involves a great deal of hard work. Farmers spend more time planting, growing, and harvesting crops. They have to monitor and control many aspects and factors to ensure a productive yield as much as possible. Ranchers, on the other hand, spend most of their time moving livestock, setting up fences, and implementing watering systems that both maintain and improve the natural condition of the land.